Standard - $104.99 Only 1 left! They say hindsight is 20/20, and now you know why. Looking back, it is painfully obvious that you should not have signed up to work for that secret government facility in their experimental laboratory. You should not have volunteered for the graveyard shift. You should not have walked into the room that said “Do not enter” after you started hearing vaguely human-sounding sounds. And you definitely should not have gotten close enough to the patient with the sickly green skin that he could rear up and bite a chunk out of your shoulder. This Adult Deluxe Lab Worker Adult Mask perfectly captures the painful reality of poor choices. The molded latex mask covers the entire head with a slit at the back for access, and its snarling face is the thing of nightmares—from the bugling, milky eyes to the crooked yellow teeth. 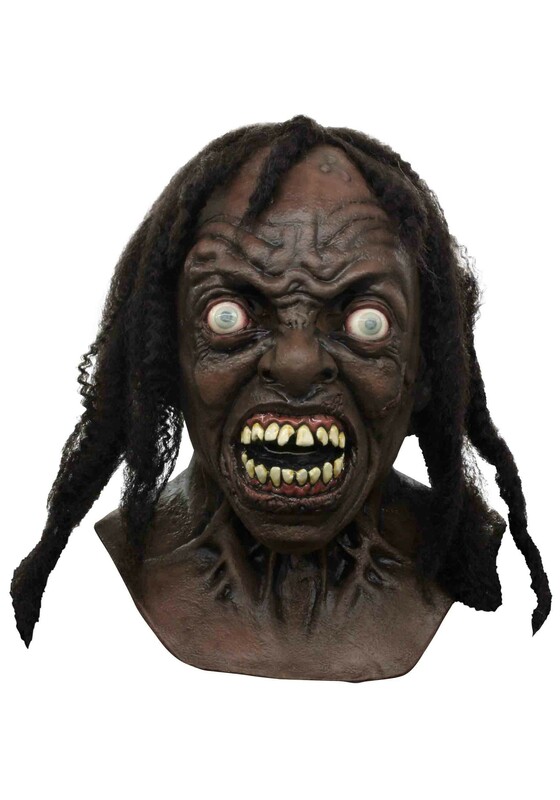 You will definitely scare some people at your next costume party if you show up with this!